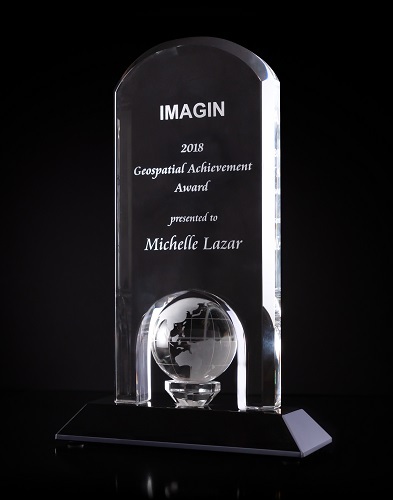 The IMAGIN Geospatial Achievement Award is the highest award given by IMAGIN and is presented to a member in recognition of outstanding contributions to the geospatial technology field, their contribution to the IMAGIN organization and its geospatial professionals, colleagues, members and the public that it serves. 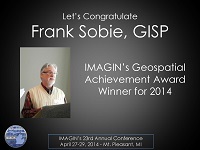 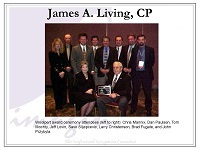 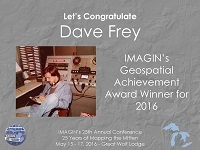 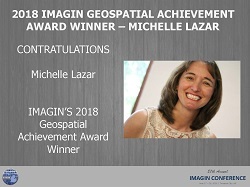 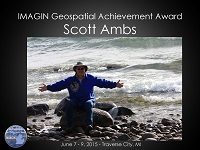 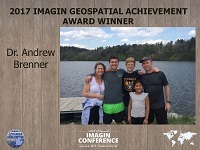 Beginning in 2000 under the name "Outstanding Individual Achievement Award," renamed in 2003 to the "Jim Living Geospatial Achievement Award," and since 2015 called the "IMAGIN Geospatial Achievement Award," this award is in its 20th year for 2019. 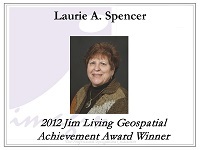 To Nominate a colleague for the 2019 Geospatial Achivement Award, follow the link below. 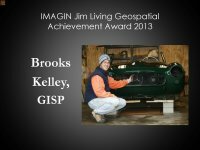 2013 Brooks Kelley, InfoGeographics, Inc.
2002 Jim Living, Woolpert, LLC.